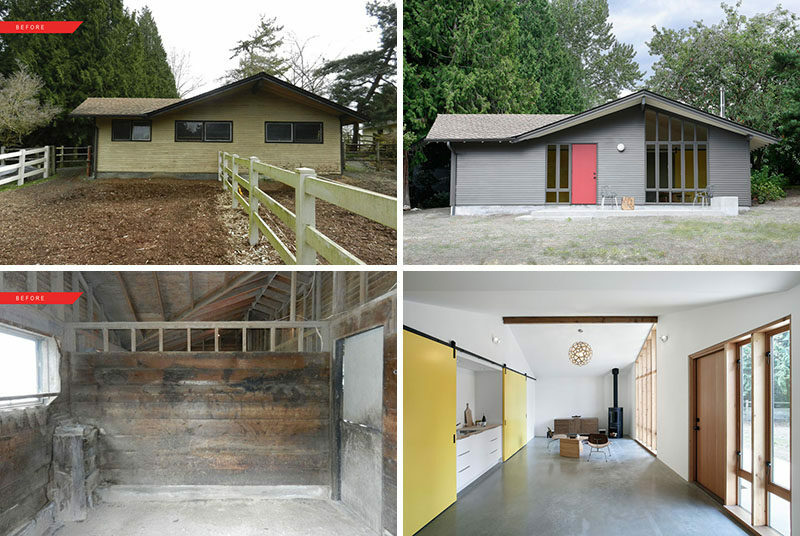 We don’t often see stables that have been turned into homes or studio spaces, but this project in Kirkland, Washington, does just that. What was once a detached stable and garage that had fallen into disuse, has been transformed into a studio space with a kitchen and bedroom. 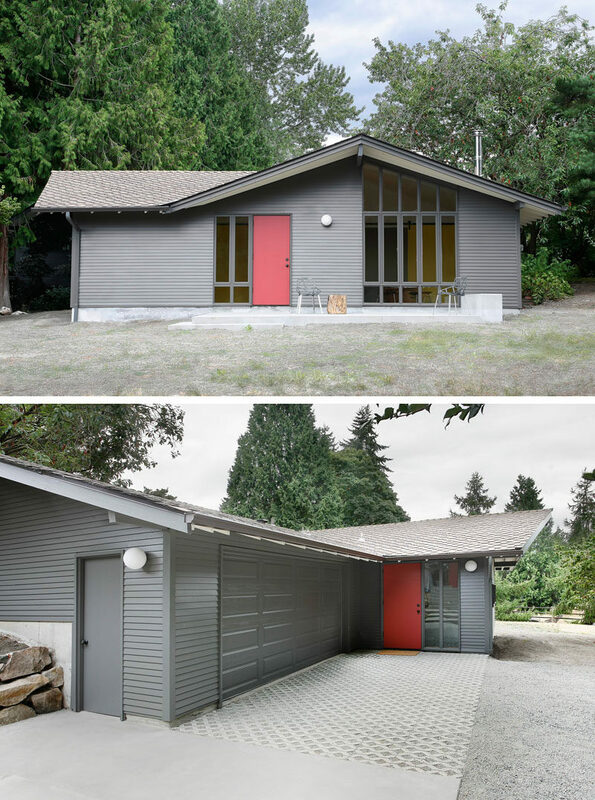 SHED Architecture & Design were given the task by their clients, a painter and digital designer, that had no horses themselves, to enclose and convert the stable into a flexible studio space for working and painting, as well as a guest space for visiting family. Let’s have a look inside…white walls and ceiling, touches of wood, concrete floors and a pop of yellow make up the interior color palette. The main studio area has a small kitchen and a sitting room with fireplace. 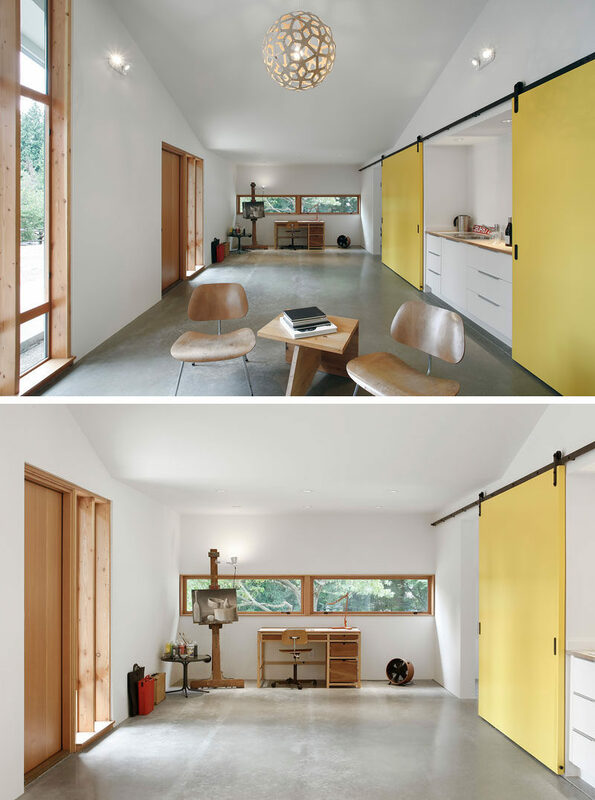 The yellow sliding barn doors run the length of the space, allowing sections to be closed off when required. Just off the living area is the bedroom. At the other end of the space is the artist studio area, with windows that provide views of the surrounding nature. 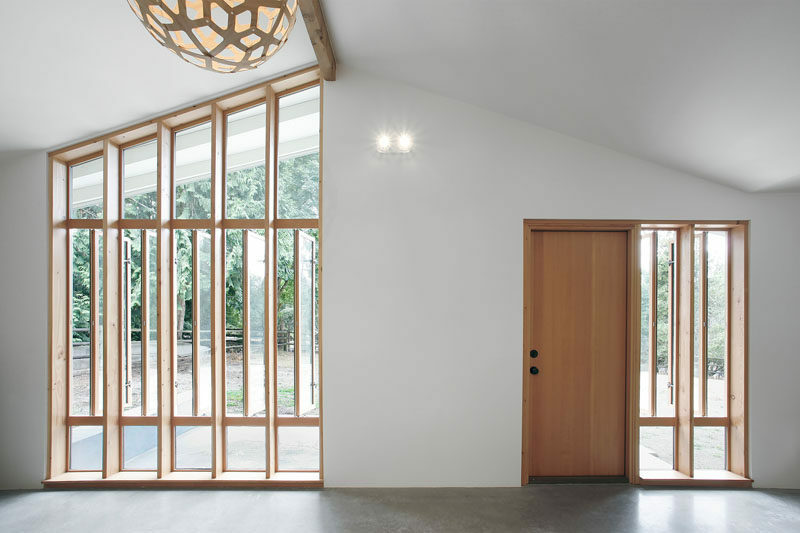 You can see how the sliding barn doors continue to hide the mudroom. 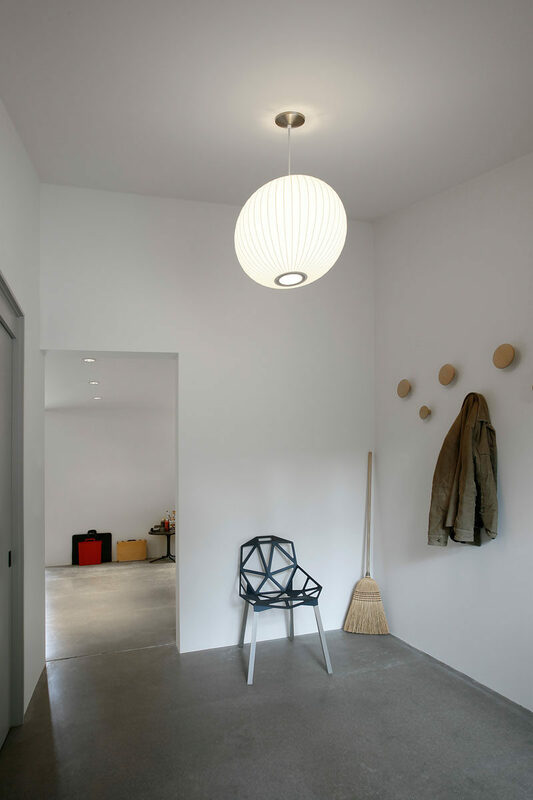 Located just off the studio area is the mudroom. 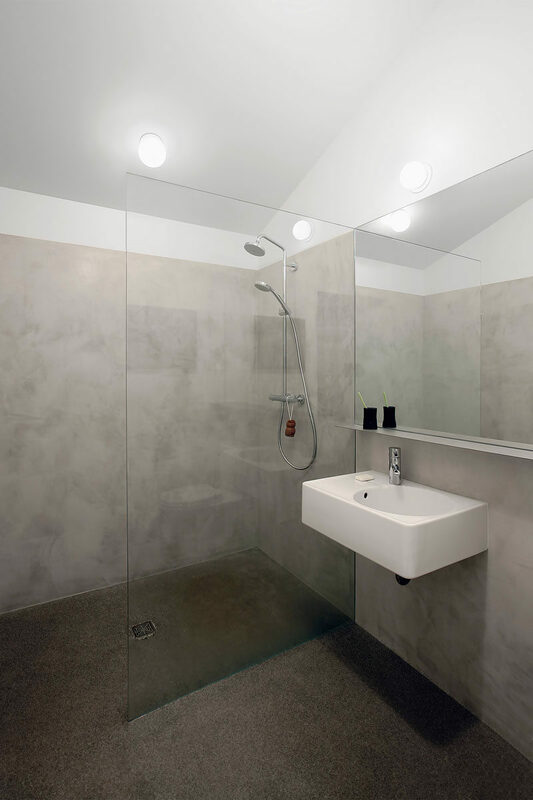 There’s also a bathroom with a pitched ceiling, and frame-less glass separates the shower from the rest of the space.